This course provides insight to theories & Practices on business and inter-disciplinary areas of management and applications of computers in business. To be able to handle computerised operations of all business activities. � Proficient in office automation necessary for business management. � Dynamic enough for handling and assisting all business operations including marketing , sales & customer care. � Well trained to assist office administration. Students getting admission into IInd year B. Tech (Computer Science & Engineering) & B. Tech (Information Technology) through Lateral Entry and they can study with regular Engineering students. Students can also study for ICWAI, CA, CS, etc. Career opportunities keep expanding, in virtually every industry, as the global business continues to develop. Diploma holders will have the opportunity to work in a broad range of employment settings in all sectors of business and industry, in both domestic and international locations, including manufacturers, market research companies, international marketing and sales, cultural relations, educational institutions, retailers, brokerage houses, banks and other financial institutions, international business consulting firms, and other large and small entrepreneurial businesses at home or abroad. 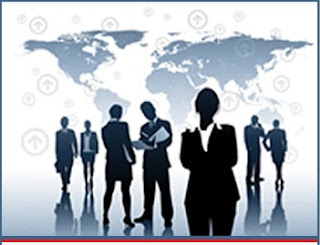 � Business Executives in various Business/Industrial organizations in private& govt.sectors. � CABM diploma holders can confidentially start their own business venture. Copyright © 2019 SITTTR, Kalamassery. All rights reserved.